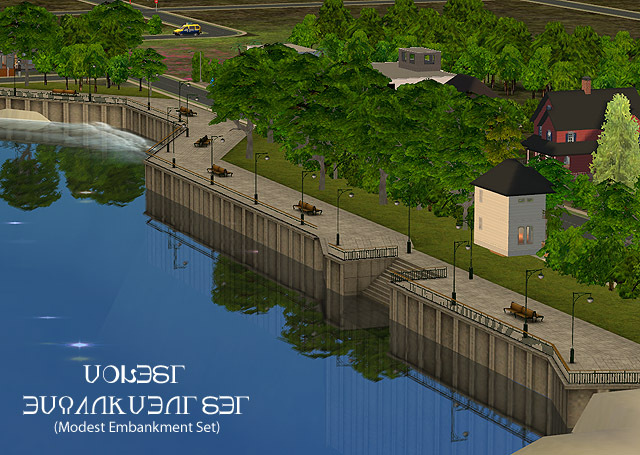 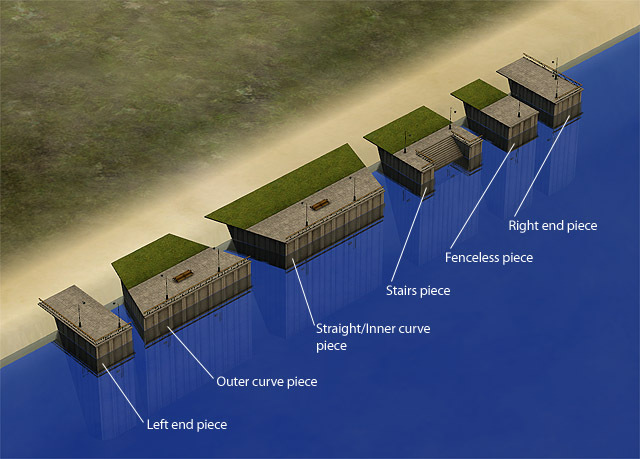 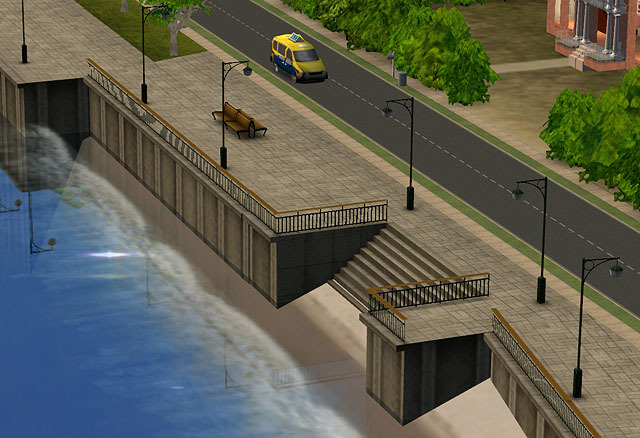 With this set you will able to add an urban look to your shorelines, lakeshores or canals. 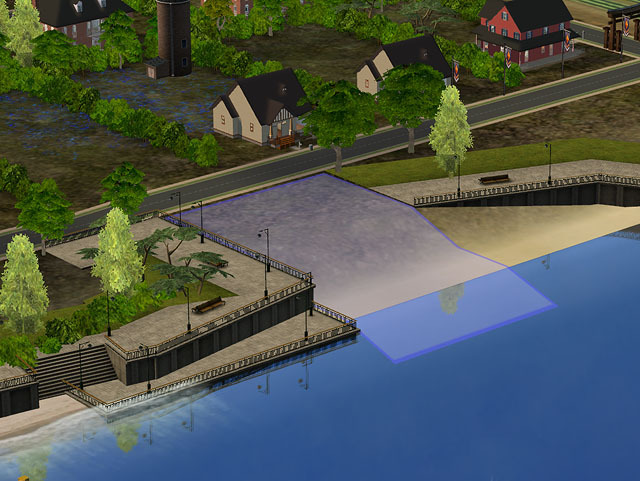 You will also need a lot of patience and some experience during embankment construction, since there is no snapping to grid in neighborhood mode and not every shoreline will look good enough with embankment on it (it depends on the terrain map you use and your terraforming skills). 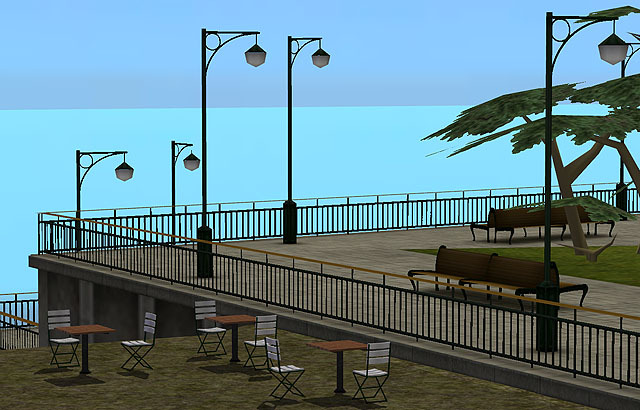 All objects can be found under ‘miscellaneous’ submenu of the neighborhood decorations menu.